The sub £150 price bracket is not short of great keyboards with the likes of Corsair, Razer, Logitech and Cooler Master providing some impressive choices. Question is, does the ROG Strix Flare do enough to set itself apart? Well, it’s certainly off to a great start with a fresh aesthetic that is unquestionably different to what the competition is offering. It features unique elements that fuse two different finishes into a very coherent design. Of course, having a stylish design isn’t enough, and there are a lot more factors to consider when looking at a new keyboard, but it's safe to say the Strix Flare does not disappoint on that front. 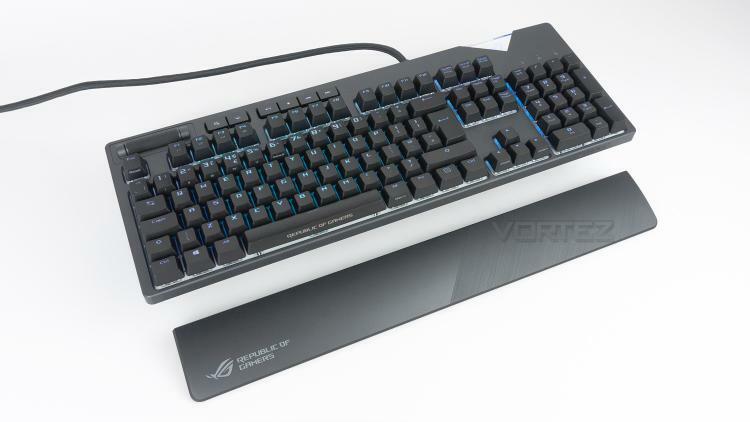 It uses ASUS’s AURA SYNC lighting which provides a comprehensive toolkit to customise the lighting on your keyboard. This means that if you use other ROG branded products that are compatible with AURA SYNC, you can create a very nice lighting ecosystem. The ROG Strix Flare is also sporting genuine Cherry MX switches of which there are four options to choose from. There is either the MX Black, Blue, Brown or RED, each offering their own characteristics. The ROG STRIX Flare also has dedicated media keys as well as a USB pass-through and much more. It is clear that the Strix Flare is not short on features, but then again neither are its rivals, so the Strix is in for a tough battle. Flare up your game with ROG Strix Flare – a mechanical gaming keyboard that's got everything you want and more. Feel the satisfaction of every keystroke with world-renowned Cherry MX switches. Enjoy instant access to dedicated media keys on the upper left while gaming. And experience an unparalleled level of personalisation with a customisable badge illuminated by Aura Sync RGB lighting. Boast your gaming flair as you dominate the battlefield.